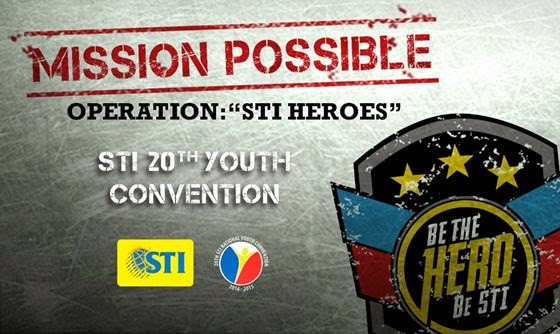 Annualy STI initiates the National Youth Convention (NYC) now on its 20th year to extend learning outside the classroom to discover the "latest trends in technology, have the most in - demand and job-ready skills and to have a place to interact with other STIers from different campuses nationwide. This year calls our STIers to be a catalyst of change, to be the little heroes instituting small changes as much as possible. In General Santos City, as I type this post, we are holding the GenSan leg NYC housing more than hundreds of freshmen, transferees from the city and other neighboring areas. NYC invites experts from the industry to expose STIers to how latest technology and STI programs respond to the pressing trends. I am pretty sure STI students and personnel are more than proud to have the annual NYC along with fellow STIers from other areas with convention kits to boot. I wonder if goodies like clubman pinaud are included.